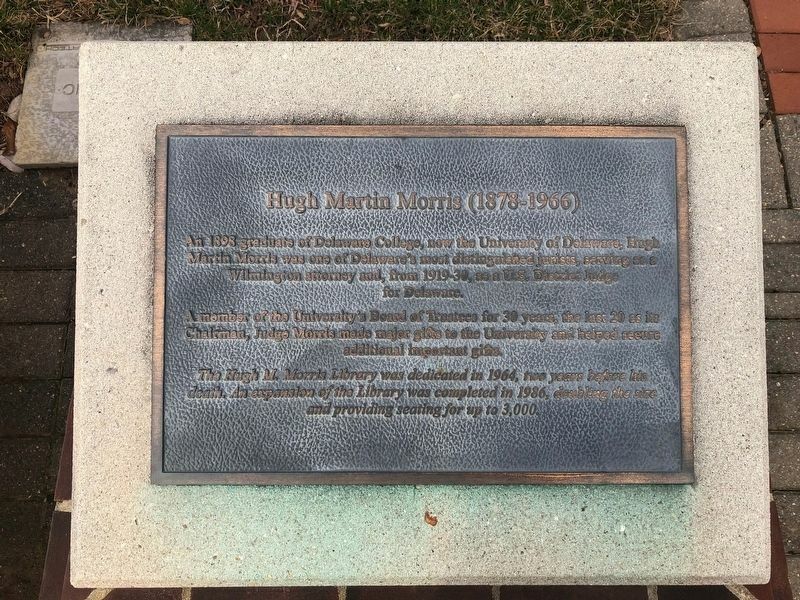 An 1988 graduate of Delaware College, now the University of Delaware, Hugh Martin Morris was one of Delaware's most distinguished jurists, serving as a Wilmington attorney and, from 1919-30, as a U.S. District Judge for Delaware. A member of the University's Board of Trustees for 30 years, the last 20 as its Chairman, Judge Morris made major gifts to the University and helped secure additional important gifts. 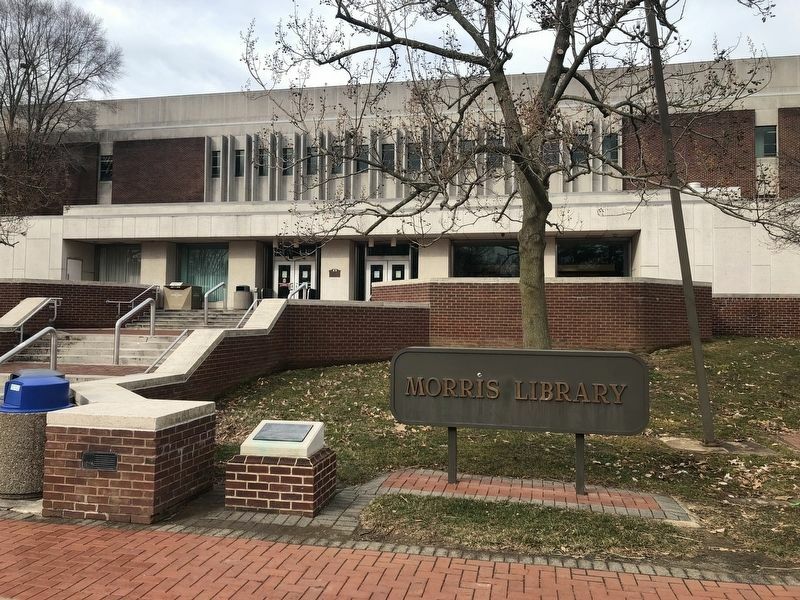 The Hugh M. Morris Library was dedicated in 1964, two years before his death. An expansion of the Library was completed in 1986, doubling the size and providing seating for up to 3,000. Location. 39° 40.695′ N, 75° 45.136′ W. Marker is in Newark, Delaware, in New Castle County. Marker is on The Green south of East Delaware Avenue (Delaware Route 273). Touch for map. Marker is at or near this postal address: 181 South College Avenue, Newark DE 19717, United States of America. Touch for directions. (within shouting distance of this marker); Lammot du Pont Laboratory (within shouting distance of this marker); Rev. Dr. Francis Alison (1705-1779) (about 300 feet away, measured in a direct line); The Magnolia Circle (about 300 feet away); In Memoriam (about 400 feet away); The Visitors Center (about 400 feet away); Mentors' Circle (about 400 feet away). Touch for a list and map of all markers in Newark. More. Search the internet for Hugh Martin Morris (1878-1966). Credits. This page was last revised on March 16, 2019. This page originally submitted on March 16, 2019, by Devry Becker Jones of Washington, District of Columbia. This page has been viewed 27 times since then. Photos: 1, 2. submitted on March 16, 2019, by Devry Becker Jones of Washington, District of Columbia.